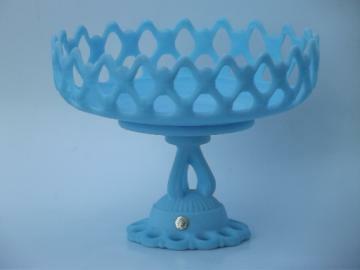 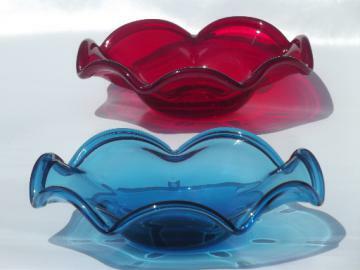 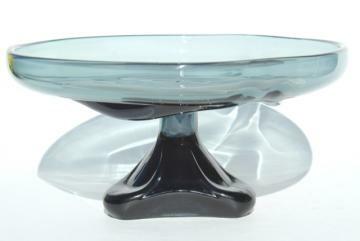 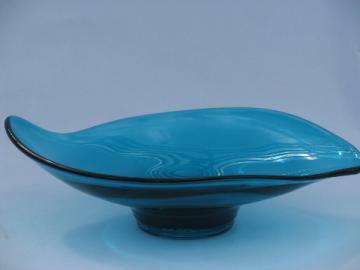 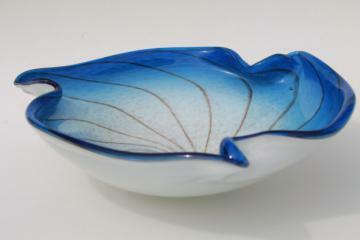 Mid-century mod vintage capri blue art glass bowl w/ retro flying saucer shape! 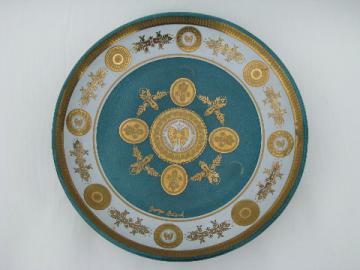 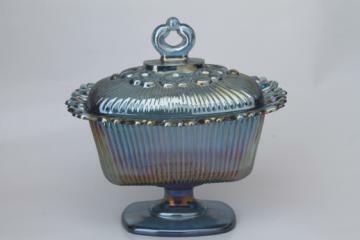 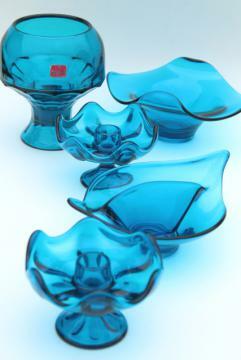 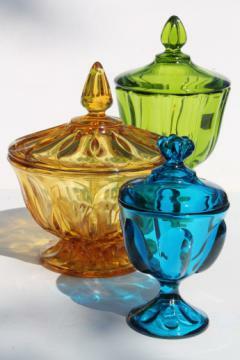 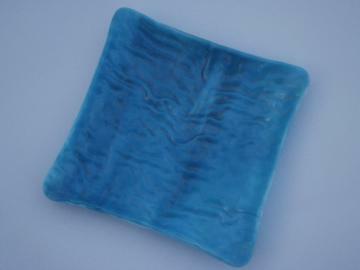 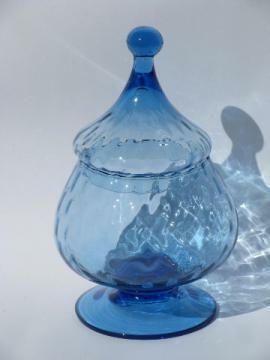 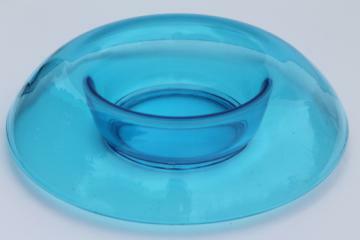 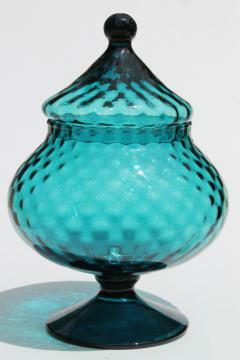 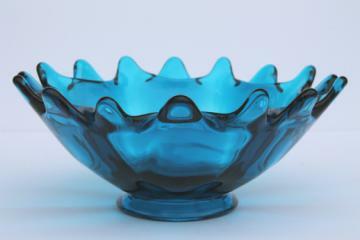 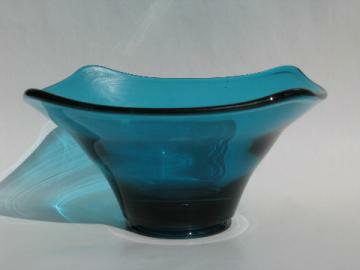 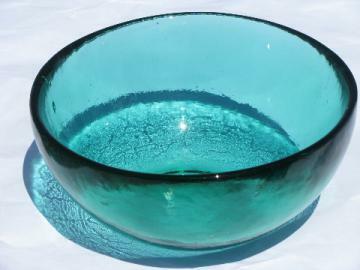 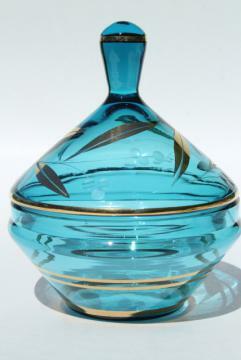 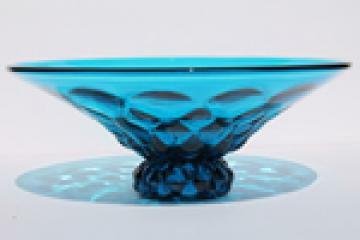 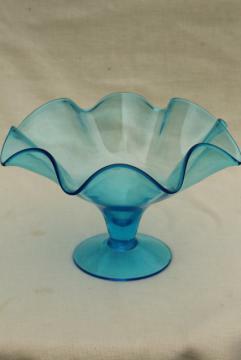 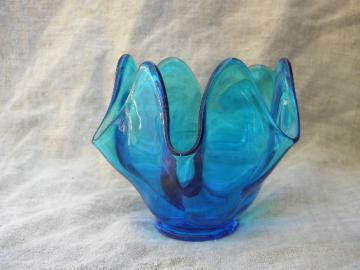 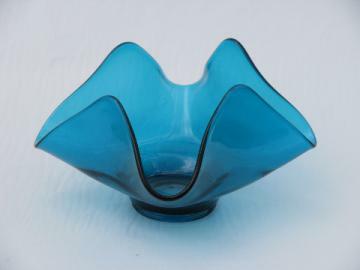 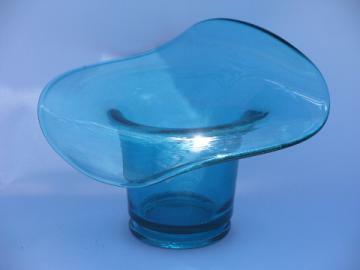 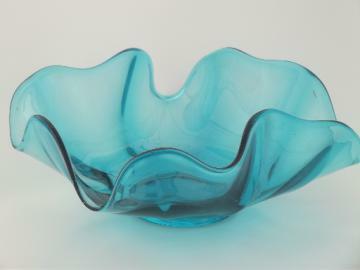 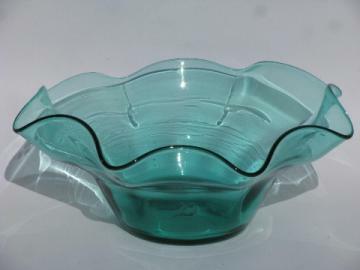 Mid-century vintage aqua blue art glass bowl, Blenko or Viking? 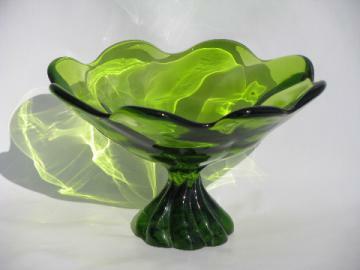 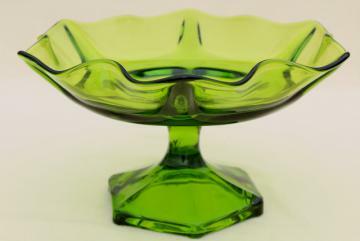 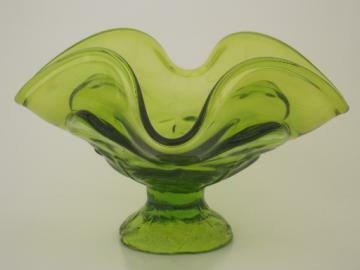 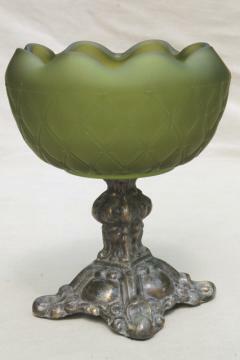 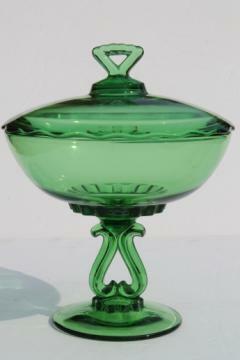 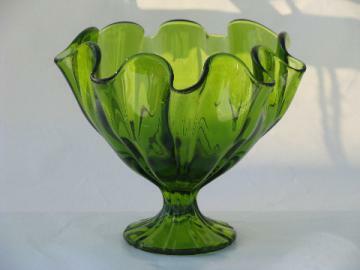 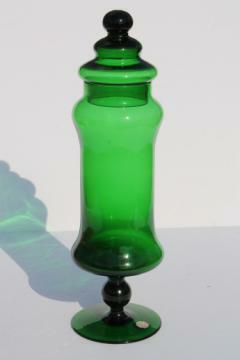 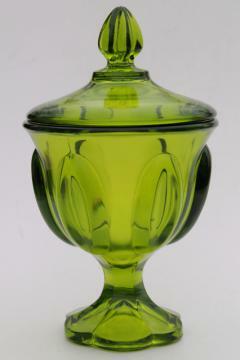 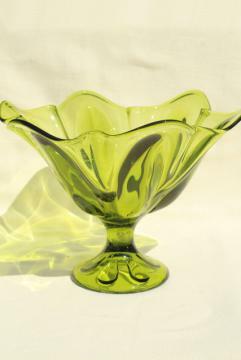 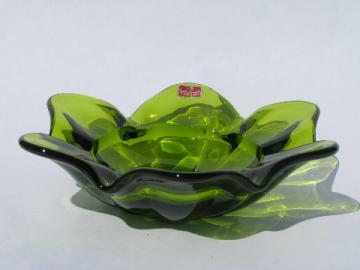 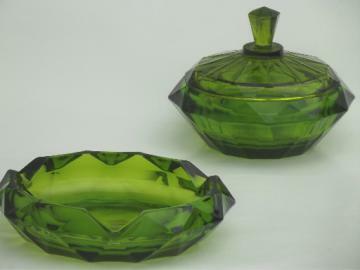 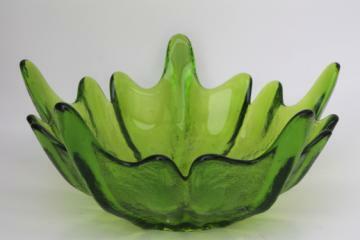 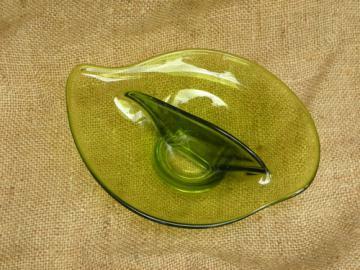 Mod vintage lime green glass lotus bowl, flower shaped bowl, Viking glass? 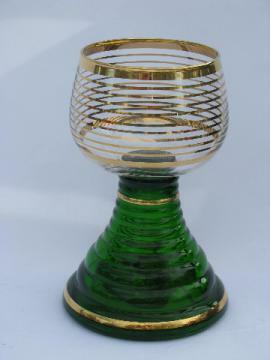 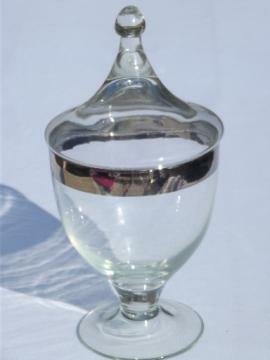 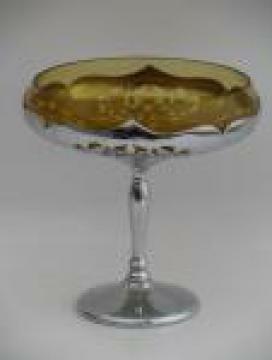 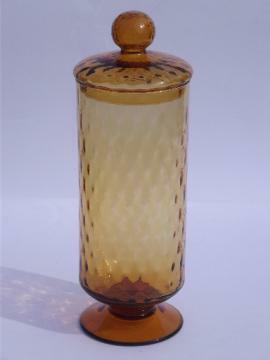 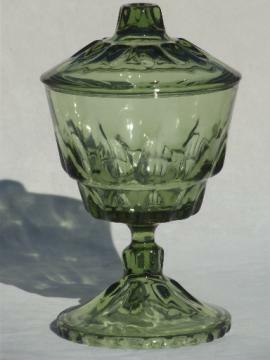 Vintage German / Bavarian wine glass, huge goblet w/ Swiss music box! 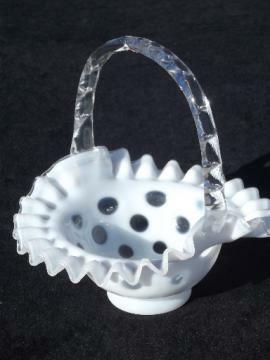 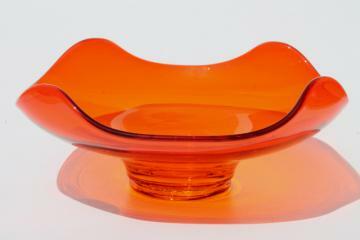 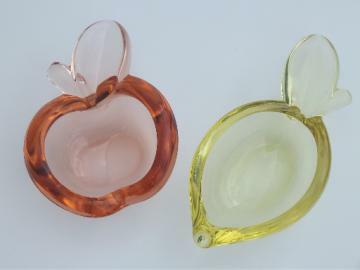 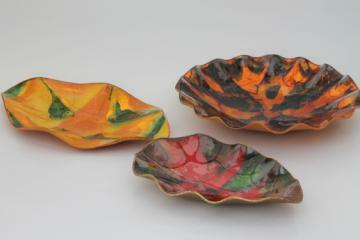 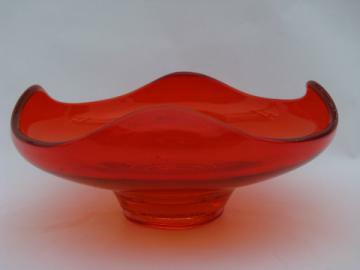 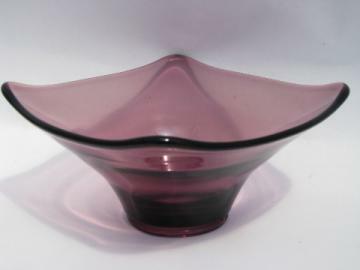 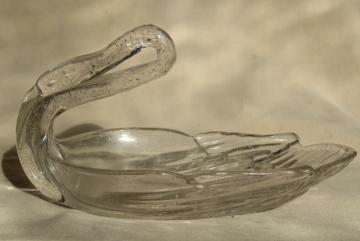 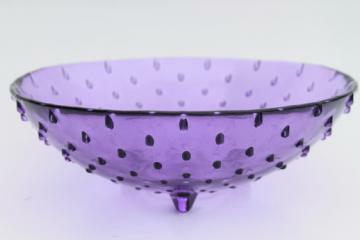 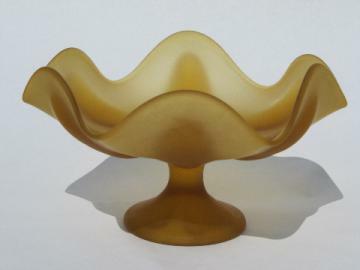 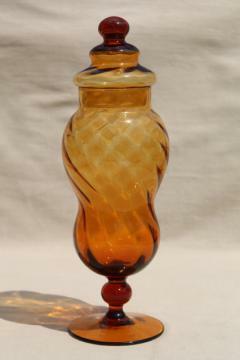 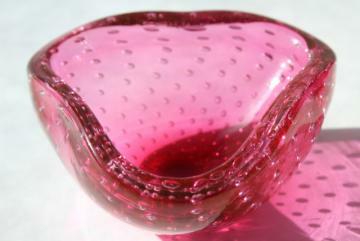 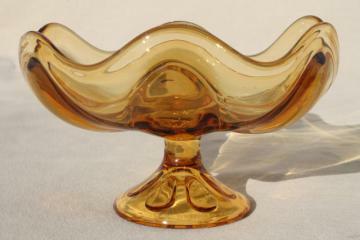 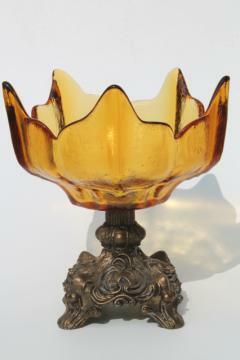 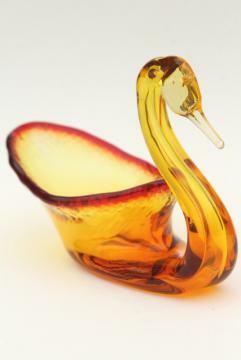 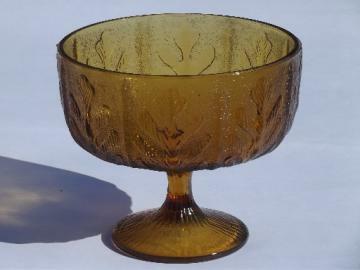 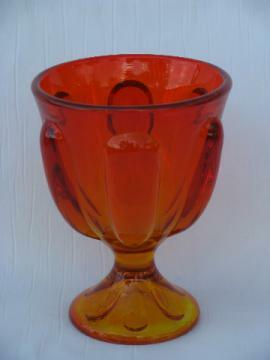 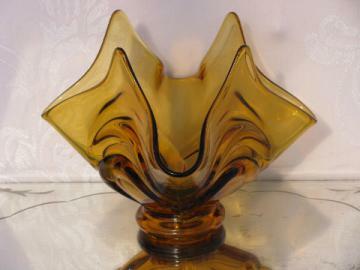 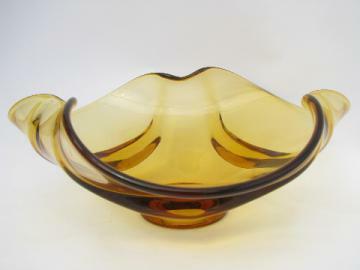 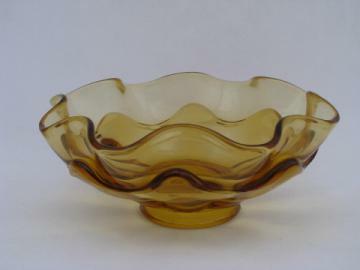 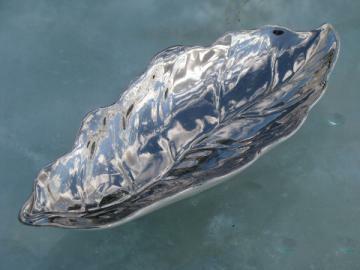 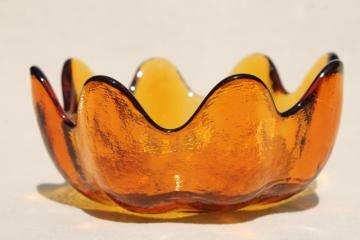 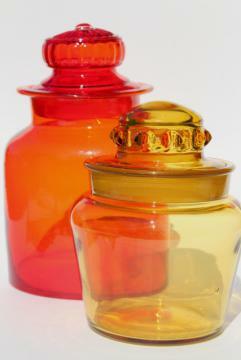 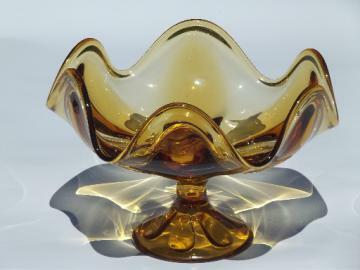 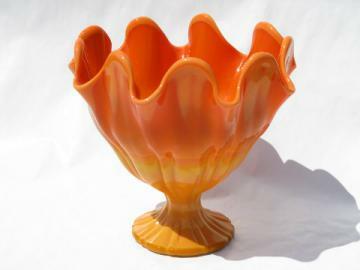 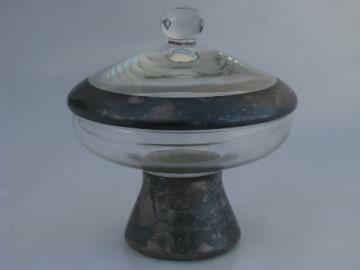 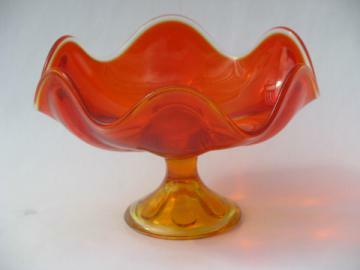 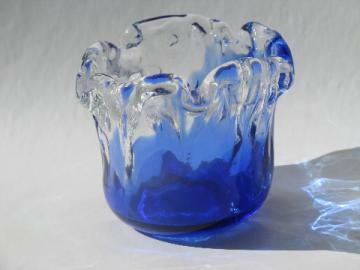 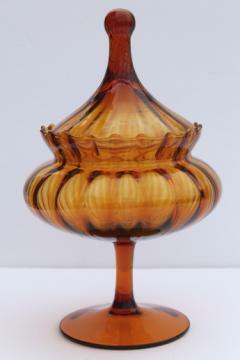 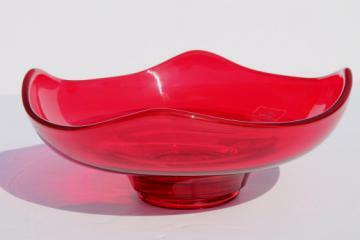 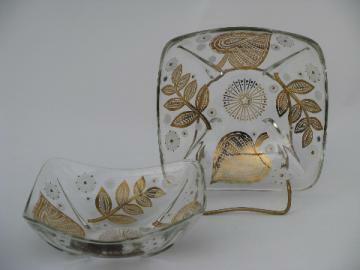 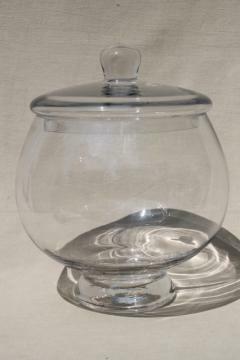 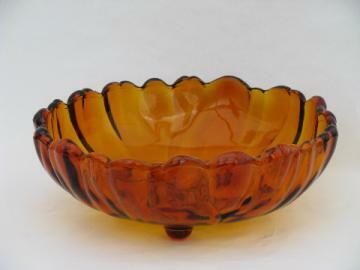 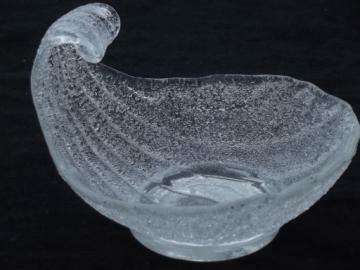 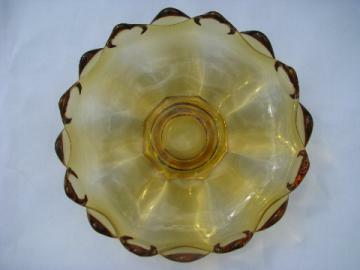 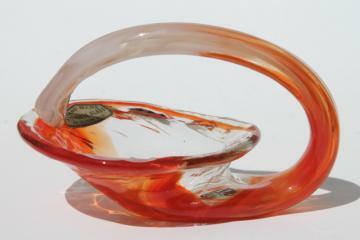 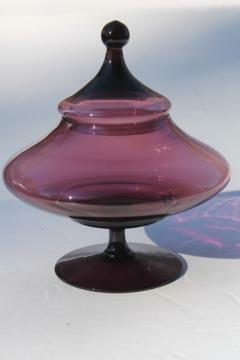 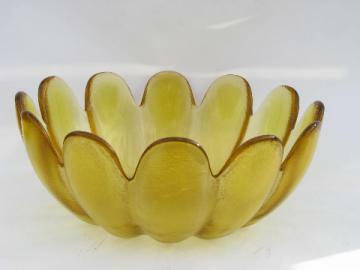 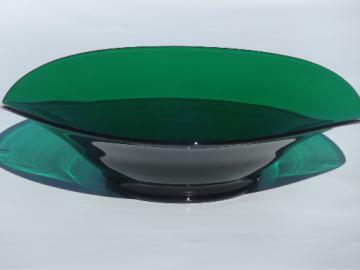 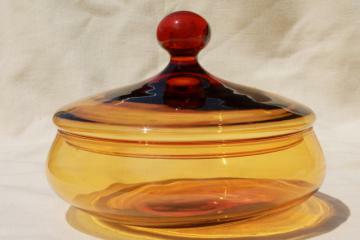 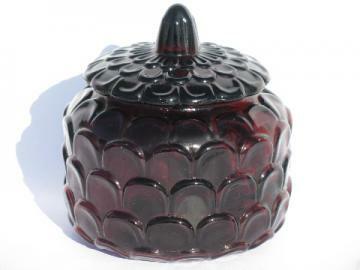 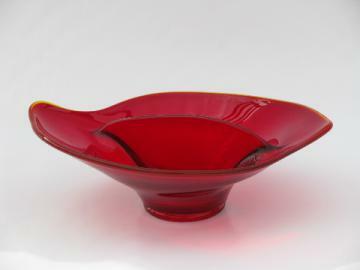 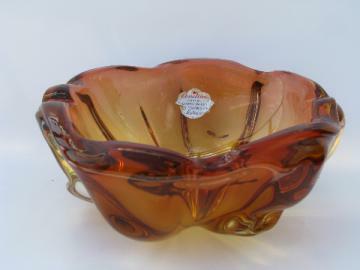 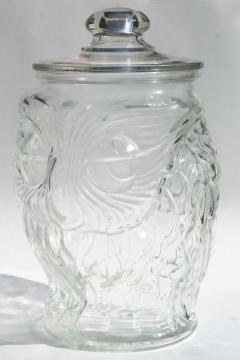 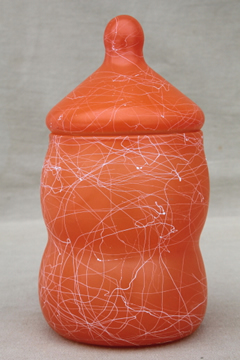 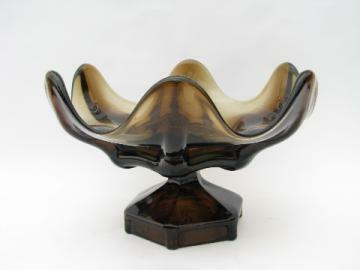 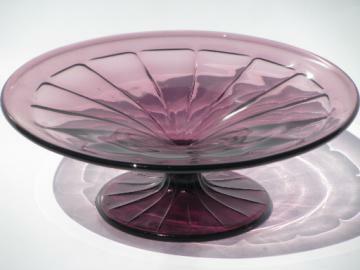 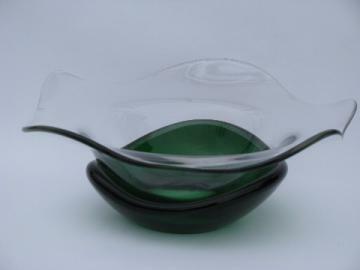 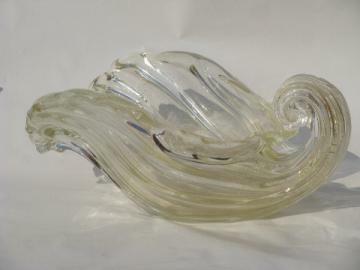 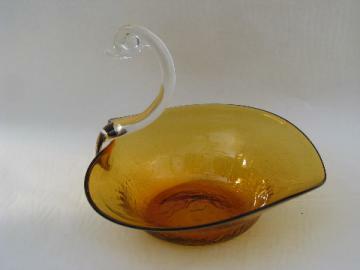 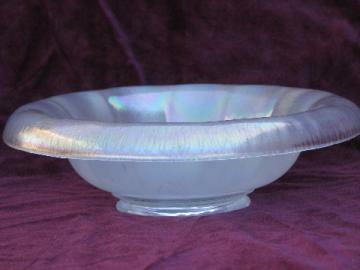 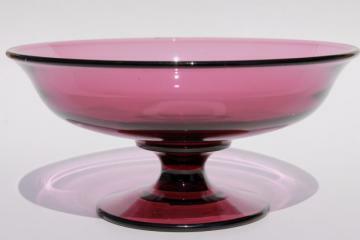 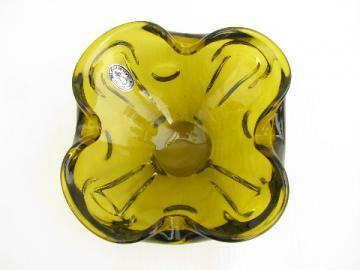 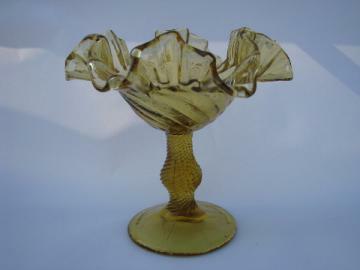 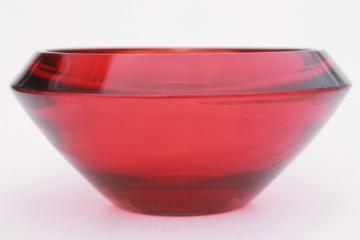 Mid-century vintage heavy art glass flower shape bowl, Blenko or Indiana?